POLITICAL TIDBITS: A look at possible candidates in a presidential election that may not even happen---Binay, Roxas, Poe, Duterte, Defensor Santiago and Marcos. Johnny Flavier on the poverty of his youth: once his mother treated him to birthday candle-blowing where he prayed to God, "Next year, please put a cake under my candle." A look at possible candidates in a presidential election that may not even happen---Binay, Roxas, Poe, Duterte, Defensor Santiago and Marcos. Johnny Flavier on the poverty of his youth: once his mother treated him to birthday candle-blowing where he prayed to God, "Next year, please put a cake under my candle." A growing number of citizens are so disenchanted with our dirty and corrupt politics and are fervently working for systems-change and rewriting a new constitution for this hapless land---instead of business-as-usual politics in 2016. But the lure of the political guessing game remains so strong that I beg to be allowed to indulge in this game once more. The disturbing SWS survey of last Sept. 26-29 disclosed that the number of hungry Filipino families had surged to 4.8 million---about 1.2 million more than the previous quarter in all areas of the country except in Mindanao---and that 22 percent of those polled said they experienced involuntary hunger at least once in the past three months, raising by 5.7 percentage points that of last June, 2013. It was a disclosure that spoiled many a breakfast that morning, but Sen. Grace Poe’s immediate challenge for a “re-engineering” of government’s approach to combat the increasing menace of poverty in our midst touched many exposed nerves. One indication was that the Palace immediately said that it was willing to work with the lady senator on this problem. The think-tank in Malacanang obviously wants to capitalize on Poe’s popularity in trying to jack up President Aquino’s vastly diminished worth. Sen. Grace Poe is one of two names I keep hearing these days in social and political circles, amid the growing desperate search for a successor to---or replacement for---P-Noy, who has now finally realized that his attempt to bag a second term or extend his one term is truly hopeless. 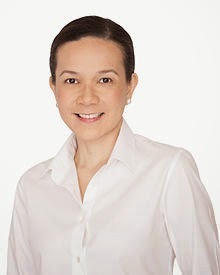 Grace Poe, I admit, is looking more and more attractive to some political observers, who seem pleasantly surprised that in addition to her famous family name, she has a sensible head on her shoulders, as exhibited in Senate hearings. At a recent family gathering I heard usually level-headed siblings argue for Grace with, "E, sino pa? Wala nang iba." I consider it a sign of the barrenness of the political desert. But Poe is not the only one in people's minds. The other day I walked over to the newsstand in our main street and the guy manning it asked me how I would feel about Davao City Mayor Rodrigo Duterte as president. Poe and Duterte---these are two increasingly popular names, as disenchantment with the incompetence of the P-Noy administration has truly impacted the populace. 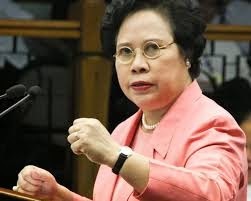 Throw in also Sen. Miriam Defensor Santiago---MDS to her adoring fans---as well as Sen. Bongbong Marcos who seems to have a well-organized rah-rah team in social media, and of course, DILG Secretary Mar Roxas, the presumptive candidate of P-Noy. Let’s take these five political figures, but first let's talk about the current object of hate of Senators Antonio Trillanes and Alan Peter Cayetano (who hope to win pogi points with the "inquisitions" they have been conducting in the Senate, without regard for public disgust with their bullying manner)---Vice President Jejomar Binay. 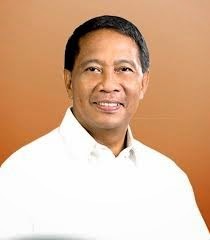 VP Binay’s political armor has been so tarnished by all the scandals hitting him, and perhaps more to come, that increasingly he is being written off as “political dead meat” by political pundits. They used to say that Binay’s strength lies with the masa, but with TV permeating the remotest slum areas now, all the televised hearings on the Binay family's alleged "scandals" appear to be hitting hard. Some folks I've talked to also point out that the youth vote comprises some 35% of total vote, and that many of youth voters have been affected bad by these allegations vs. Binay. It’s still a year and a half from elections---if they materialize at all, a big Iffy---and with a few tricks up his sleeve, this scarred veteran of hardball politics would be tough to write off as dead, though few would probably bet on it at this time. As a new face in politics Grace Poe might have learned from the sad experience of her elders in the Senate, so that she'd be scrupulous to a T. Many wonder, though, if she could have been bribed in the many milliions like some of her current colleagues, were she around in 2012 for the Corona impeachment trial. Poe is a refreshing face with her smart business-like clothes, and she comes to sessions prepared with sensible questions and wisely does not attempt to tackle subject matter that would reveal her being a novato. But a novato she is and I'd be quite disturbed to see her maneuvered into Malacanang so fast, as that highest office needs seasoning with the political seasons, as some distinguished politicos of yester-years did exhibit. To those pushing Poe for the presidency in 2016, my retort is that she should be allowed first to mature and acquire much-needed political wisdom, courage and real grace under pressure (we've seen P-Noy unravel in this area). We don’t know where she stands on many issues and how she would handle tough decisions---and I mean really tough ones, not just the hearings in the Senate where one often follows a script. I would concede, though, if there really would be a stampede for her, perhaps in a year she could be material for VP. 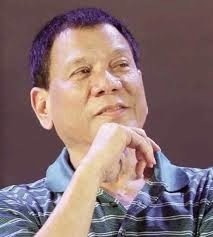 As for Mayor Duterte, those entertaining thoughts about him leading the nation are obviously so despairing of the current lot of disgraceful nincompoops or furiously corrupt, that they’d take someone who liked to brag that he’d hang syndicate agents from the bridge in Davao City. I told the fellow manning our neighborhood newsstand that I’d be fearful of Duterte as President, as he’d probably shoot people without even giving them a hearing of some kind. The Davaoenos seem to have no problem subscribing to Duterte's Billy the Kid brand of leadership perennially, but it would be scary to test it on a nationwide scale. But I admit that the number of this kind of folks around the country is growing--- thanks to the terrible peace and order problem we have. Sen. Miriam Defensor Santiago, on the other hand, is truly brilliant in some aspects and haven't I seen enough of this over the years, e.g., how she pulverized a prosecution lawyer in the Corona trial out of his wits. When she first hit the limelight decades ago as the swashbuckling Immigration Commissioner in the Cory regime, Philippine society was mesmerized like insane, but I admit that I was not one of them. Over the years I've seen the MDS brilliance pour out like lava from a deadly volcano---but I'm also wary of that uncontrollable temper if housed in Malacanang. If they say in unverified stories that PGMA used to throw the cell-phone or a hamburger sandwich at a subordinate in a fit of irateness, I'd tremble to think of what President MDS would throw. Some equally frightened folks feel she'd have us in a war with Malaysia soon enough. In fact when I heard the news that she was nominated to the International Criminal Court in Den Hague, I found myself commiserating with her would-have-been colleagues, most of them aging and eminent retired justices in their own countries. I'd want to keep MDS for a new round of an impeachment trial in the Senate---or a new parliament---for can you conceive another such trial without MDS? It would be like New Year's Eve without the fireworks. As for Sen. Bongbong Marcos for President, all I want to say is, maawa naman tayo sa Pilipinas. We've already been hopelessly vilified as a corrupt nation, let's not become the laughing stock of the world by bringing back a Marcos to Malacanang. And last, but not least, DILG Secretary Mar Roxas, the presumptive candidate of P-Noy. A graduate of Wharton School in Philadelphia who built the foundations of the IT industry here, Mar comes from a distinguished lineage---his grandfather, President Manuel Roxas, was the first President in an independent Philippines while his father, Sen. Gerry Roxas, was touted as presidential timber and probably would have held that position and done well, had he not died of cancer early. The Araneta-Roxas family has enormous wealth that could well finance, without any outside help, a presidential campaign---but the problem is the image of Mar Roxas himself in a calling that demands enormous funds but also relishes the poor-boy story (that makes Binay connect with the masa still). Mar's image-makers seek to make him look masa---e.g., Mr. Palengke (when naughty folks say iyon pala, he OWNS THE PALENGKE), carrying a sack of onions or rice or sweeping the street, but it comes across as trying too hard. In another setting he would shine as a technocrat, which he is, and make good politically; but in this country the make-up image just doesn't connect because it's not credible. Plaudits are so well-deserved of the late Sen. Johnny Flavier who remained so indifferent to and unashamed of the poverty he grew up in and triumphed over, and that he was never lured into corruption like many in the Senate. My favorite story about him is found in a little book titled "Coincidence or Miracle?" a compilation of "inspiring stories" by Flor Gozon Tarriela and Butch Jimenez. When Johnny died a few days ago, I looked for the copy of that little book which he had sent me on May 19, 2002, where he pointed out in the dedication that "My miracle is on pages 118-121." Those pages dealt with his life-story as a boy born to a destitute couple in the slums of Tondo, in a brood of six. His father was a poorly paid factory mechanic who eventually lost his job, putting his family on the verge of starvation, while his mother wrapped bath soap and earned a centavo for every few hundred pieces. It was such a struggle sending all six children to public schools; later, incredibly, Johnny managed to finish medical school by means of his mother's peddling of second-hand clothes on installment. One anecdote in those pages that I cannot forget, as I heard him relate it also orally, dealt with the little party his mother would always give him and his siblings on their birthdays. Once she gave little Johnny a party with pancit bihon, ginatan and a birthday candle which she made him blow in front of relatives and friends. Asked by his mother to make a wish before blowing the candle, he fervently prayed, "God, thank you for this party. But God, next year please put a cake under this candle." I don't agree with how you prejudged someone who's obviously doing his best to clear up the taint the Yellow Power (who are obviously the ones dividing the Pilipino people) against their family. Or are you actually a person who thinks "The sin of the father is the sin of the son"?